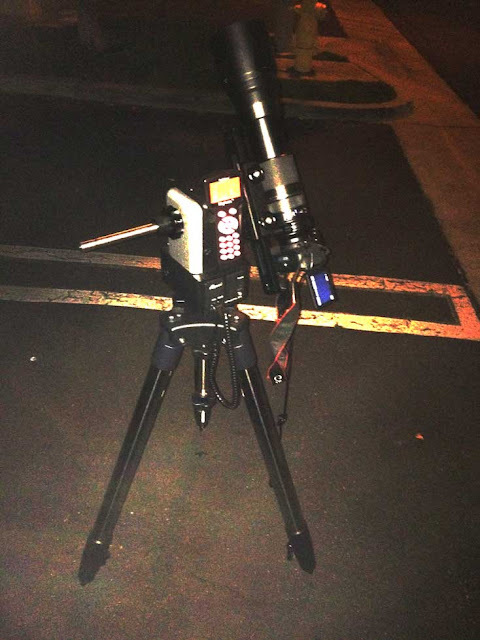 Well, the night clouds have been arriving about a couple of hours before midnight, so that meant a chance to get in some preliminary testing of this new Ioptron, self-aligning mount. doing alignment and I don't like to spend a lot of time at it. The new mount is Alt/Az and is light enough that I can carry it with one and maybe a 1/3 hands. See attached photo. Now, I haven't quite got the whole deal about its self aligning features worked out but it seems pretty good so far. It has a built-in GPS and all I have to do is begin with the mount level according to the built-in bubble level and say "go". Then by pointing the scope or camera, in this case just my 600 mm telephoto lens and camera, and center the object in the field of view. Easy! But I have been disappointed in the past with auto-alignment, so I tried a couple of little tests and selected a couple of objects, so visible some not, and commanded the scope to slew to them. Wow, it worked perfectly. I asked for Antares, Spica, Mars, Jupiter, Saturn and Mizar. 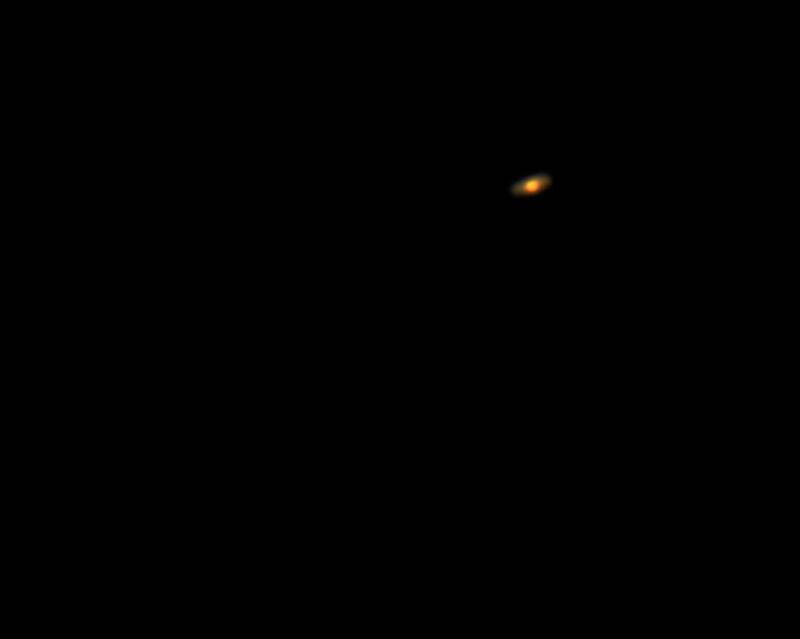 Now, Mizar was not naked eye visible in the light pollution, but wow, it just came into center view. I was quite happy. As you remember, one of my goals and needs of a quick set up capable scope was in order to gather light curve data for variable stars and eclipsing binary stars. I'm not interested in spending 1/2 hour hauling equipment and stuff out and setting up and aligning and all that just to be able to get a couple of pixels worth of light from a not-naked eye visible star. But now I can do it with this new setup. This new tracking mount with goto capability will enable me to collect light curves that I can't find or see with my naked eye. Oh, oh now I have run out of excuses and no more free nights now that this lightweight option seems to work. So, I know amateurs want to see some pictures, so I have a couple of shots to share. 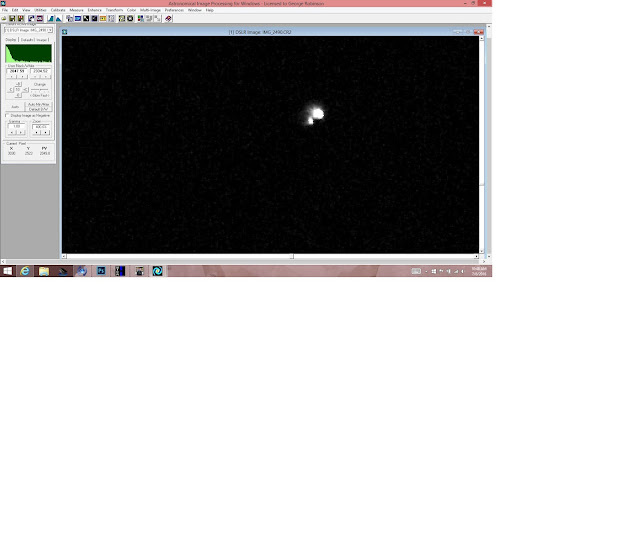 I wanted to see how well the 600 mm lens could resolve stars and planets and now have some data. 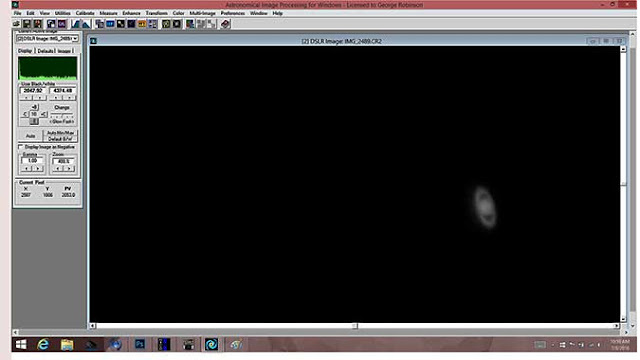 See the attached image of Saturn. Yeah, not very clear. But, I then analyzed the picture with AIP4WIN and find that maybe I'm losing so detail in how I processed the first image in Photoshop. Something not quite right there by comparing what can be seen in the third attached same image of Saturn, but processed with AIP4WIN. It strikes me that my Photoshop processing is not quite up to par. I'm not quite sure what I'm doing, but it seems to lose detail when I crop the image. Need to practice on that. 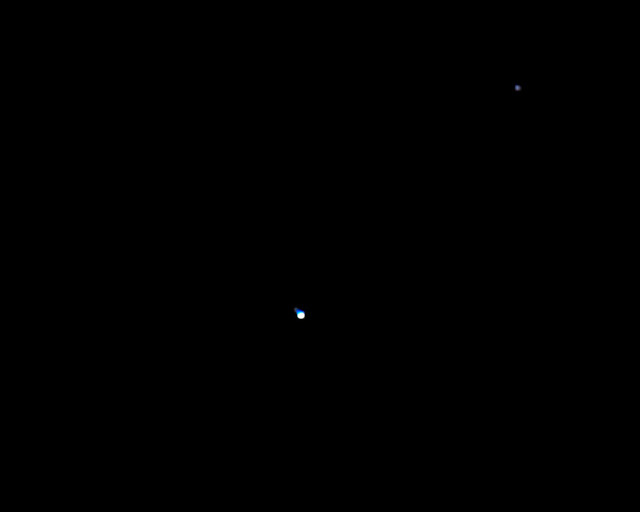 But the next two images show how the double star Mizar is resolved with just a 600 mm lens. The initial Photoshop image just barely shows the double star, while I could easily see the double star when originally viewed in camera Liveview. 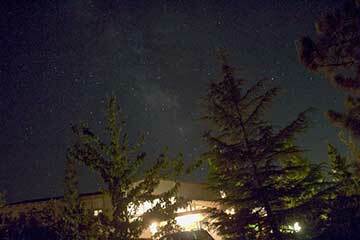 The AIP4WIN processed image shows the double nature of the star much more clearly. Also, two sets of images have some sort of mirror imaging going on too in that when you see the dimmer Mizar companion in the Photoshop image it is to the upper left of the main star and yet the AIP4WIN image has it to the lower left. Same sort of thing is seen in the Saturn images. I seem to come across this issue before, but can't quite remember what the issue is? Sadly, it was just a couple of months ago that I realized what was going on and now I can't remember what I found. I know AiP4WIN has a couple of buttons to mirror image, either vertically or horizontally, but I can't remember when I need to do that. This seems par for the amateur course of making some progress, learning from mistakes and then forgetting some progress. I hope its not due to too many martinis? I'll probably remember just after I press the send button. Oh well, at least the mount worked out great. So, that's it this week for images. Its back to more physics today and tonight with the OCA general meeting. Tonight's meeting should be especially well attended because a professor from CSU-Fullerton talking about more gravity waves. He had been instrumental in developing all of the predictive filtering models of possible ways that black hole combinations could merge and what the received signal would look like. It should be great. See you there.